ISLAMABAD, Aug 21 (APP): Pakistan on Sunday strongly condemned the terrorist attack in Turkey’s Gaziantep province and reaffirmed solidarity with the government and people of Turkey. 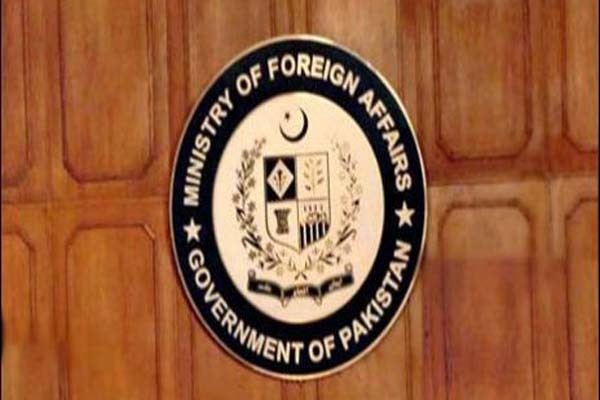 “The Government and people of Pakistan are deeply anguished and saddened by the news of the latest terrorist attack in Turkey, targeting a wedding ceremony in the southeastern Province of Gaziantep,” a press release of the Foreign Office said. Reports indicated at least 30 innocent lives were lost and more than 90 injured. The terror attack in Gaziantep followed the most recent acts of terrorism in Van, Bitlis and Elazig. The Foreign office said the heartlessness of this brutality was evident from the fact that a celebration was turned into mourning. “Pakistan condemns this despicable act of terrorism in the strongest possible terms. Pakistan also reiterates its condemnation of terrorism in all its forms and manifestations”, it added. It said those seeking to disturb the peace, stability and internal harmony of Turkey would never succeed. “We remain firm in our belief that the fraternal people of Turkey would decisively defeat the scourge of terrorism with their resolute will and unshakable resolve,” Pakistan’s Foreign Office said. For its part, like always, Pakistan remained in abiding solidarity with Turkey as it waged its valiant struggle against terrorism, worked to preserve its peace and harmony, and persevered in its journey of progress and prosperity.